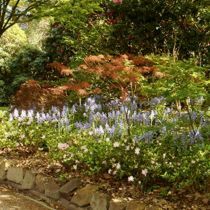 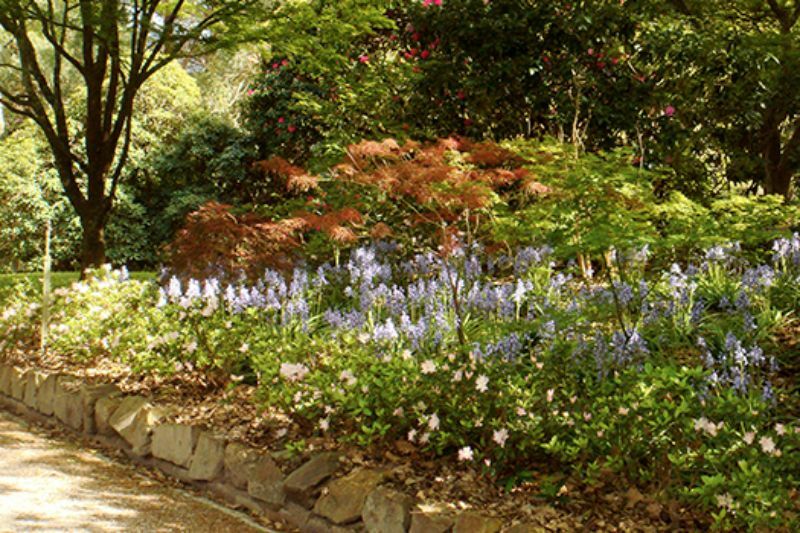 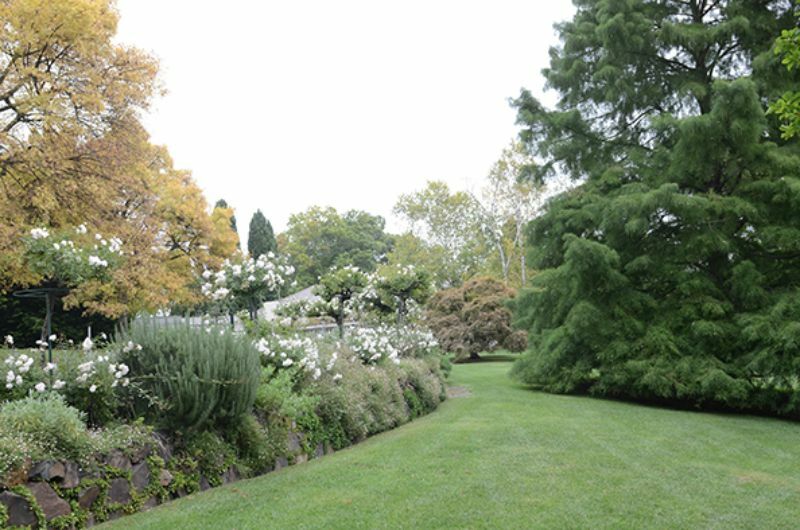 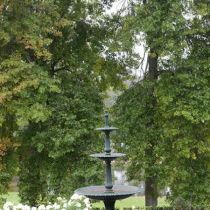 This beautifully designed garden features mature conifers, deciduous trees and eucalypts underplanted with cool-climate shrubs. 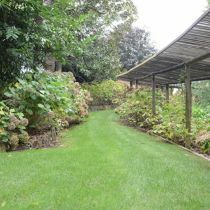 Drystone walls retain perennials and roses. 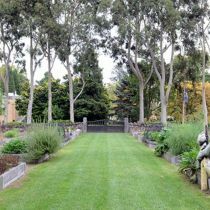 Manicured lawns sweep down to a pool. 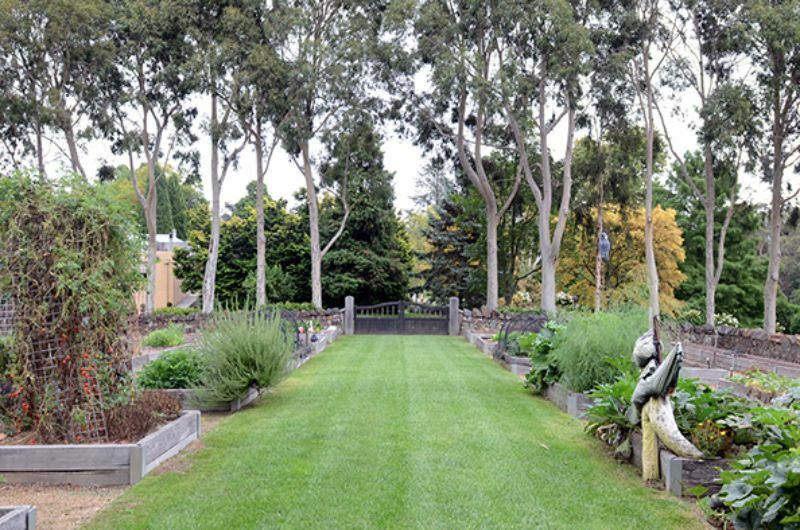 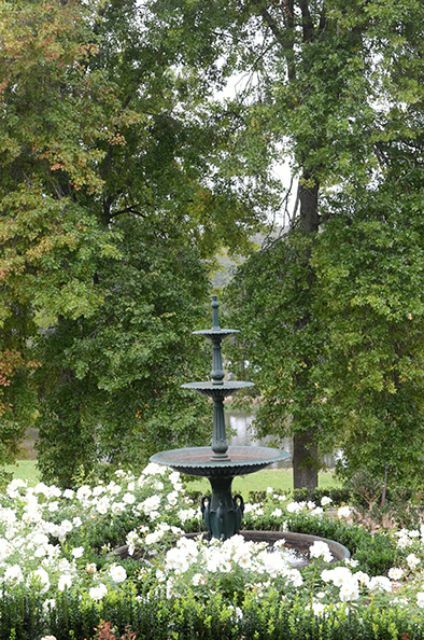 Roses, hydrangeas, a parterre, an orchard and a walled vegetable garden all add to the impact. 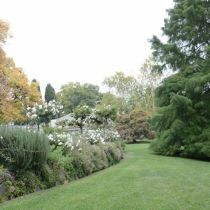 A pathway flanked by Chinese Elms on one side and Smooth-barked Apples (Angophora costata) on the other has been recently constructed to link the garden to the dam. 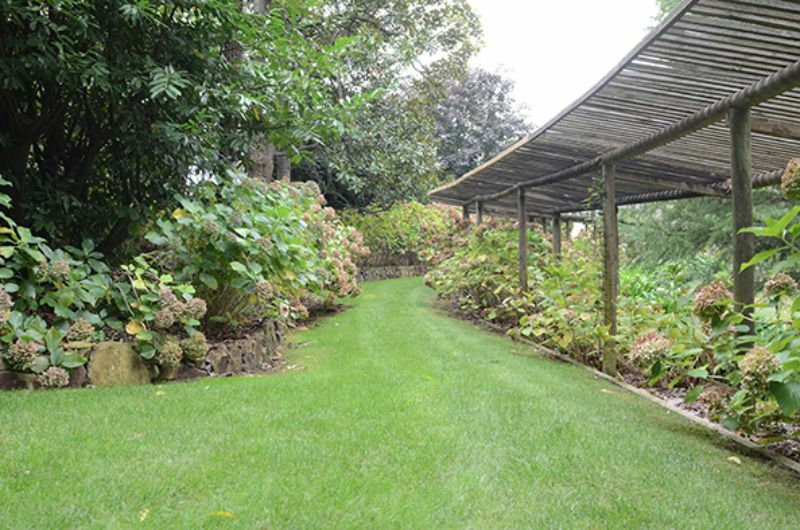 A ha-ha allows unimpeded views of impressive parkland.